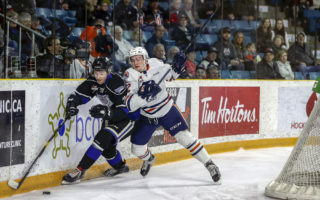 Kamloops, BC –The Kamloops Blazers have announced that Game 3 of their first round playoff series will be played at Memorial Arena on Tuesday, March 29th at 7:00pm. The last time a WHL playoff game was held at Memorial Arena was on May 5, 1992. The Blazers beat the Saskatoon Blades in Game 7 of the WHL Championship 8-0. The Blazers went on to win the 1992 Memorial Cup in Seattle. 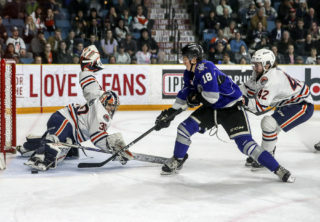 All future playoff home games will be played at the Sandman Centre. 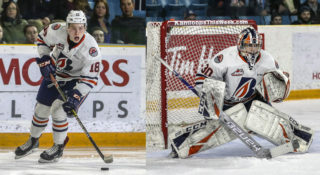 “We’d like to thank the City of Kamloops and the WHL for their efforts. 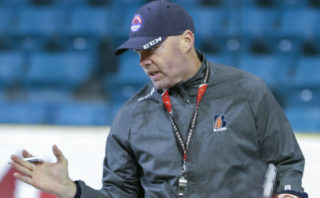 They have been tremendous partners in ensuring this game can be played in Kamloops,” said MacGregor. Single game playoff tickets will go on sale on Monday, March 21st at 9:00am. This will include a limited number of tickets available for Game 3 at Memorial Arena on Tuesday, March 29th. Tickets to Game 3 will only be available for purchase at the Blazers Box Office or by phone at 250-828-3339. 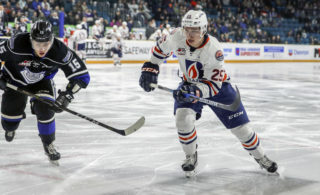 For tickets to tonight’s home game against the Prince George Cougars, call the Kamloops Blazers Box Office at 250-838-3339, or click here to purchase tickets online through Ticketmaster.